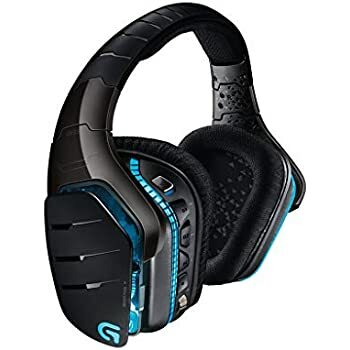 If you use the Logitech G933 Artemis Spectrum you've probably noticed there's no sound when you launch Tom Clancy's The Division 2. My first instinct was to head into the settings and see what audio changes I could make. If you set your audio output to the logitech g933 headset (or default audio device and have windows default set to the g933) and the microphone input to something other than the g933 you get your audio back! This is one work around, but you won't be able to use the headset's amazing microphone for in game voip chat. So here is the best temporary workaround and it's easy to do. Open your task manager by pressing Ctrl+alt+delete and selecting the "Task Manager" option. Search for and end task the "Logitech Surround Sound Service" as seen in the image below. It's the fastest way to get your audio back along with using your g933's microphone in The Division 2. Hopefully the devs will have this sound issue fixed soon but until then this is it. Some reddit users who suggested this approach claim that although you're ending the "Surround Sound" service, you'll still have surround sound! Just remember, if you restart your computer this service will start up again. Just end task is when you plan to play The Division 2 again. Hope this helps get more agents into Washington DC sooner. See you there!